Tabronx “T-Wealth” Smith (born August 30, 1977) is an American music executive, business consultant, promoter, marketing and branding director. He is currently the chairman and Ceo of Premier Element Group. Smith’s business acumen has helped bring music acts from 2 Chainz, Young Dro, Gucci Mane, Tank, Machine Gun Kelly, R.Kelly, Travis Porter, Young Jeezy, and Keith Robinson. Also worked alongside Music Mogul Exec Russell “Big Block” Spencer who discover Boyz N Hood, Guerrilla Zoe, Kris Kelli, Young Joc, Young Jeezy and more. Smith was the Project Manager of the Block Entertainment for four years until taken Premier Element Group to new heights. Tabronx first began his entertainment career as a promoter who notice a lack of entertainment for troops in the smaller, less populated areas in the U.S. After observing this dire need, he decided to across the world. Doing shows from Destin, Miami, and Tampa, Florida to the entire South Region of America. Later he formed a group in called “GrownMan” and Andromeda that tour around the world from Japan to America. In 2016 took on Hollywood Actor and Singer Keith Robinson music career and the single “Love Somebody” rose up the charts and peaked at number 30 on the Urban AC Billboard Hot 100. As WR/DB Coach, Coach Bronx’s PRYAA Youth Football Career sits at 77-10 with 1 GFL Championship 2 GFL Championship Runner Up. 2 GFL Semi-Final Appearances 3 Quarter-Final Appearances. 7 GFL Conference Titles. 2 GFL Patsy Jones 7 on 7 Championships. 7 Football University Selections. 4 Undefeated Regular Season Records. Abagail Grace Tournament Champion Runner-Up 1 Born 2 Compete Tournament. 2 Player of the Year Nominations. 1 Player accepted to IMG Academy. Coached the #1 Secondary in the GFL for 2015. 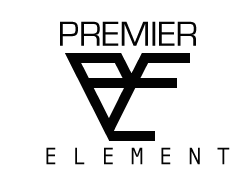 Premier Element is an all-inclusive marketing, branding, entertainment, advertising and consulting firm committed to providing our customers with the resources paramount for entrepreneurial success. We specialize in key consumer services designed to meet (and exceed) our client’s personal and commercial goals. Our aim is to increase customer wealth and provide them with a competitive advantage within their respective industry. We want to ensure every company is given the opportunity to achieve their full earning potential and position them for further growth and expansion. Our Services – Premier Element Group core competency involves branding, marketing, entertainment and business guidance. We help numerous clients protect and maximize their earning potential through copyright, merchandising and deal negotiations. Premier Element Group’s legal division ensures both parties get the best advice and delivers experience representation for every level of business affairs. With over a decade of experience in the music industry, Premier Element Group allies with great artists, both on a locally and nationally, to help you find the most talented and most relevant artists for your event. We also handled array of projects from Artist Development to Entertainment Consultant. Premier Element is committed to providing immediate responses to your requests, combining knowledge of the brand, business and vision so you can relax and enjoy the growth of it. Please take a moment to tell us about your problem so we may give the best solution for success.  Sept 29 and Oct 13, 2006 – “Chevy Ridin Party” performance by Major Producers and Artists Cool N Dre ft Rick Ross @ Ricks Night Club in Panama City, Fl and Valdosta, Ga @ Club Latitudes events drew over 1,000 people for each event.  May 16, 2008 – “All White Celebrity Affair” performance by Major Platinum R&B Artist Case @ One 18 Bar & Lounge in Sumter, Sc events drew over 700 people for this event.  May 16, 2009 – “Pink & Black Affair” Hosted by Sparkling Nuvo @ One 18 Bar & Lounge in Sumter, Sc events drew over 900 people for this event.  Oct 29, 2010 – “Grand Hustle Halloween Bash” performance by Young Dro @ Club Overboard in Destin, Florida event drew over 1,100 people.  April 28, 2011 – “Imperial Take Over” performance by Paul Wall @ Club Palladium in Tampa, Florida event drew over 800 people.